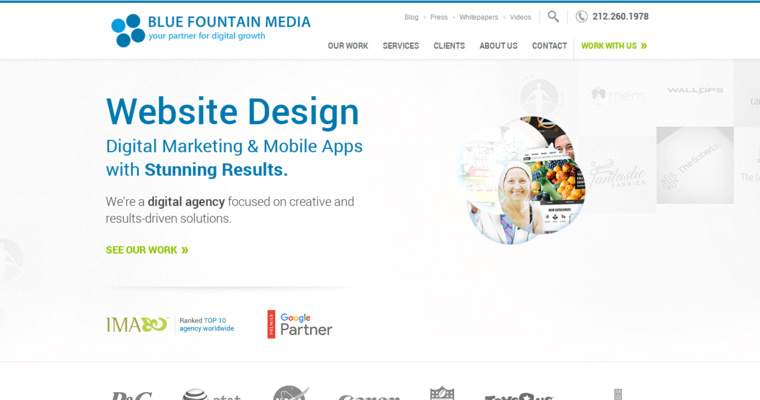 Blue Fountain Media has been at the forefront of web design since its inception in 2003. The company has pioneered leading designs and techniques that are now considered industry standards. The company was founded by serial entrepreneur and web design guru Gabriel Shaoolian, who currently has decades of experience in the business. Today, the company has an expert staff of more than 100 full-time designers, marketing experts and other media specialists, and it serves a client list that includes some of the biggest names in American business, like AT&T, Proctor & Gamble and Nike. Blue Fountain Media has a proven track record of completing the highest-quality web design projects on behalf of clients big and small. 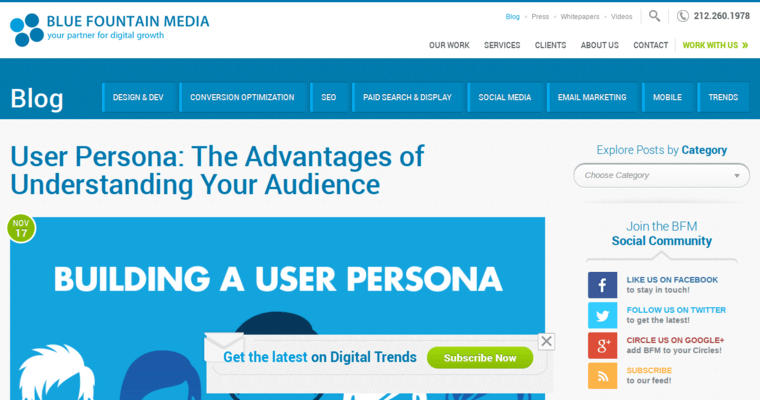 The company can help your business to put its best foot forward, creating a compelling online user experience that enhances your company’s brand and messaging. 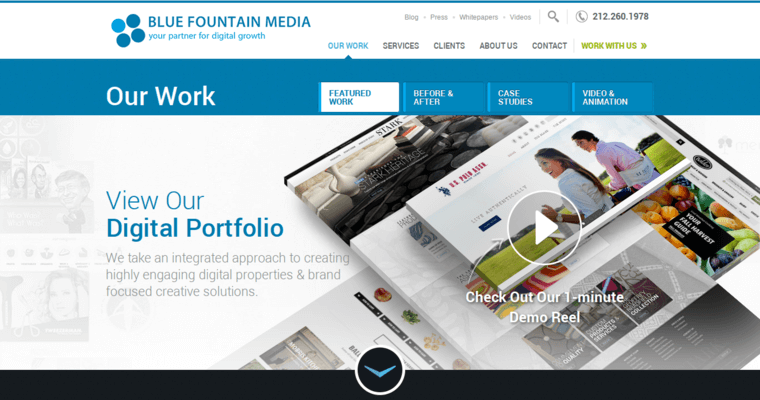 When it comes to web design, Blue Fountain Media has no equal.